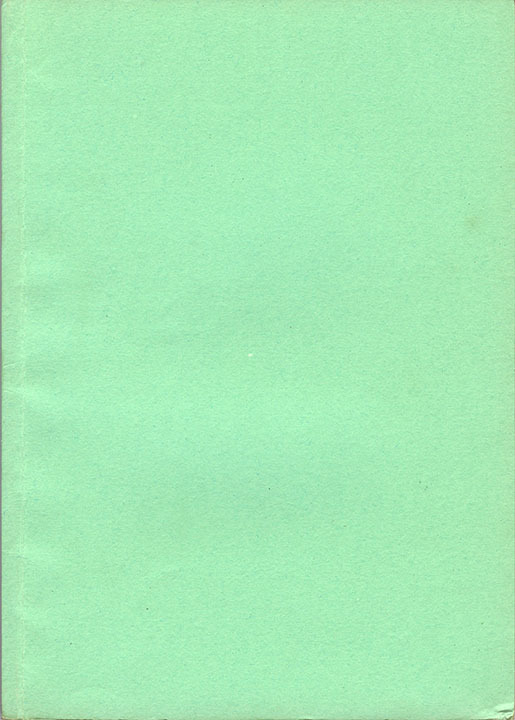 A big part of the appeal of book collecting for me is the pursuit and acquisition of that which is rare. 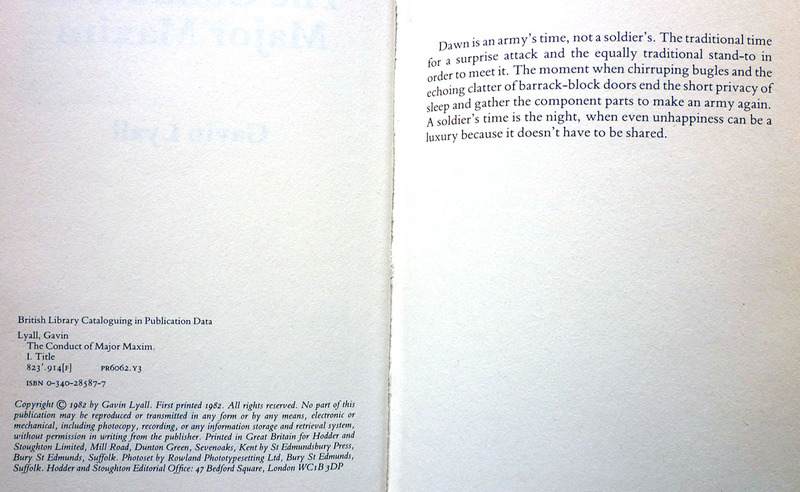 Sometimes that can mean first editions; sometimes it can mean little-seen later editions or scarce paperback editions; sometimes it can mean signed or, better yet, inscribed editions; and sometimes, on occasion, it can mean uncorrected proofs. 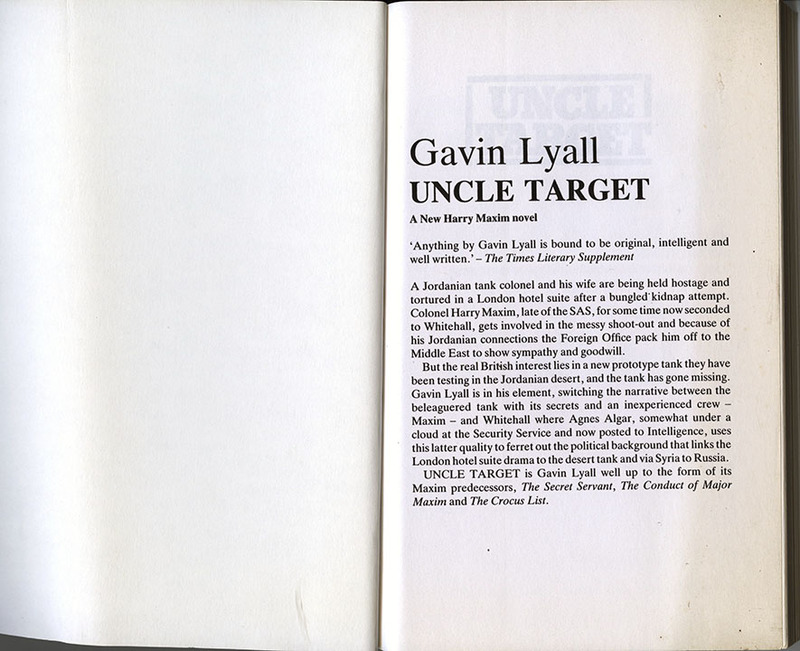 Uncorrected proofs, for the uninitiated, are advanced copies of books, printed and bound with paper or card covers bearing bibliographic details and/or blurbs, which are sent out to proofreaders, authors, reviewers and, increasingly, bloggers, for a variety of purposes. 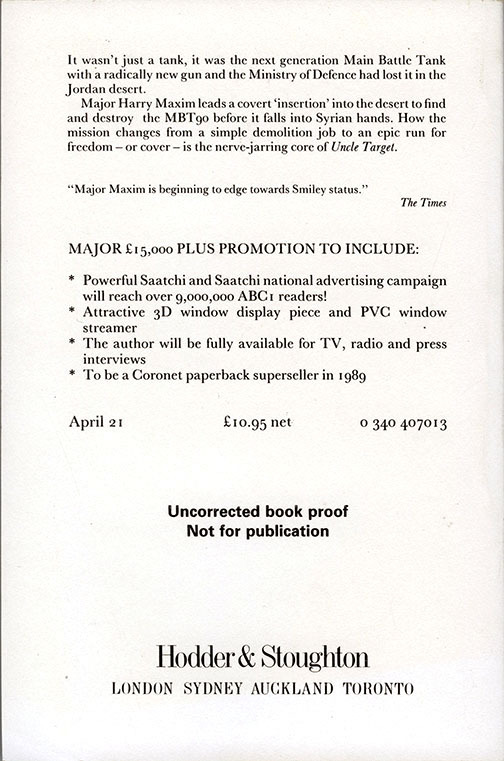 That purpose initially, as the name suggests, was for authors and proofreaders to spot and mark up any typos that had slipped through the net, but in more recent years uncorrected proofs, or advance review copies (ARCs) as they're also referred to, have been used primarily to drum up publicity. 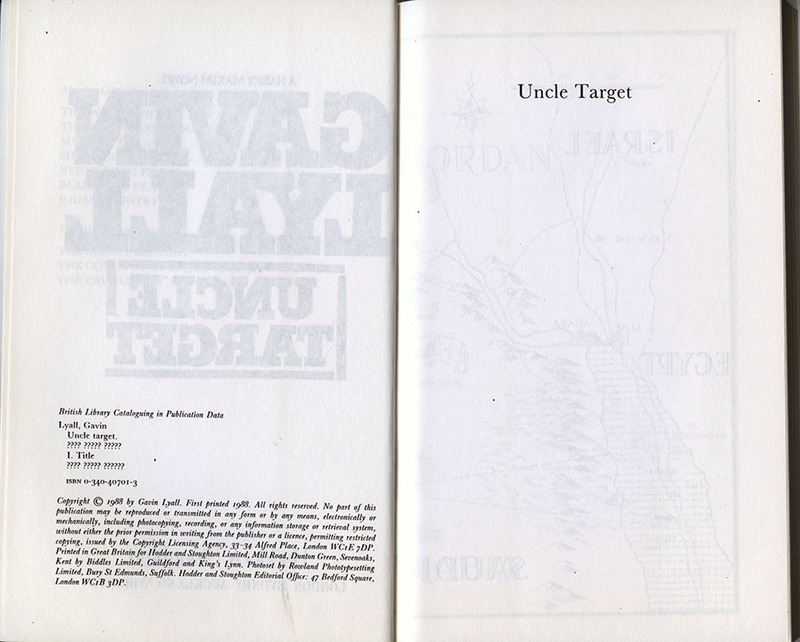 You could argue that uncorrected proofs are the true first state of any printed book, preceding, as they do, the first edition. 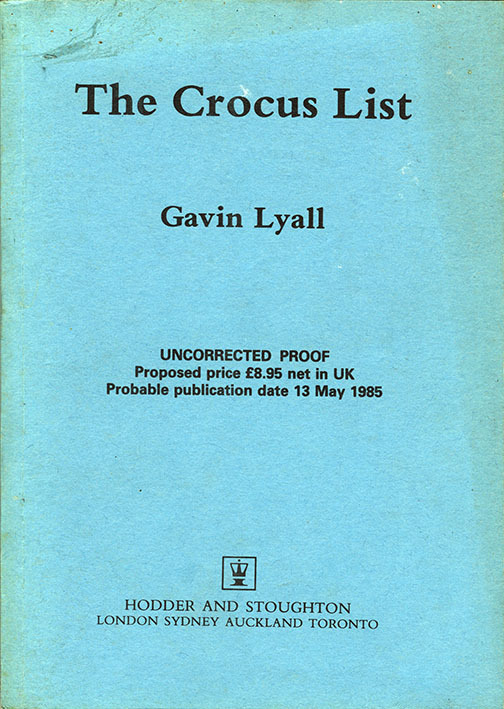 But even if you accept that, I think it's fair to say that most book collectors, myself included, would still prefer the first edition; apart from anything else, uncorrected proofs are frequently unlovely and, by nature, unfinished things, whereas firsts benefit from designed dust jackets and hardback binding. 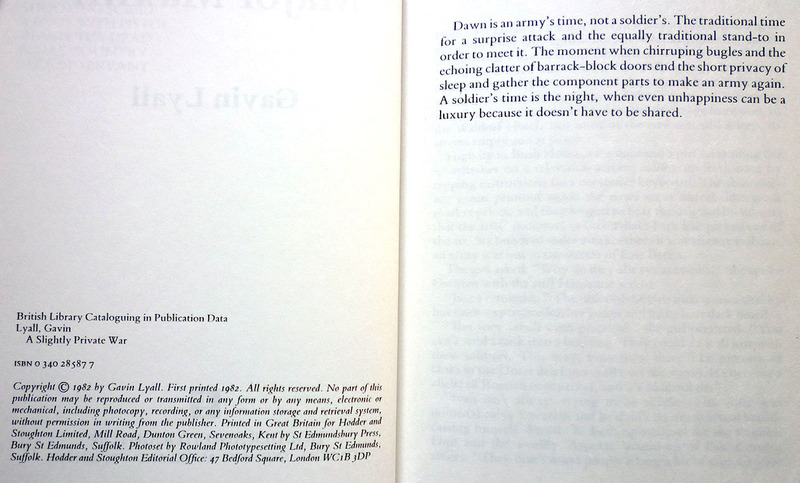 Still, uncorrected proofs can be scarce things, and as such can sometimes be of interest to me – say, for example, if a novel has a certain significance, and a first edition isn't quite enough, and a signed edition isn't available, as with Patricia Highsmith's Ripley Under Ground; or to give another, more recent, example, if an entire series, one which I enjoy and admire, suddenly becomes available in its entirety in uncorrected proof – well, that would be very hard to pass up indeed. 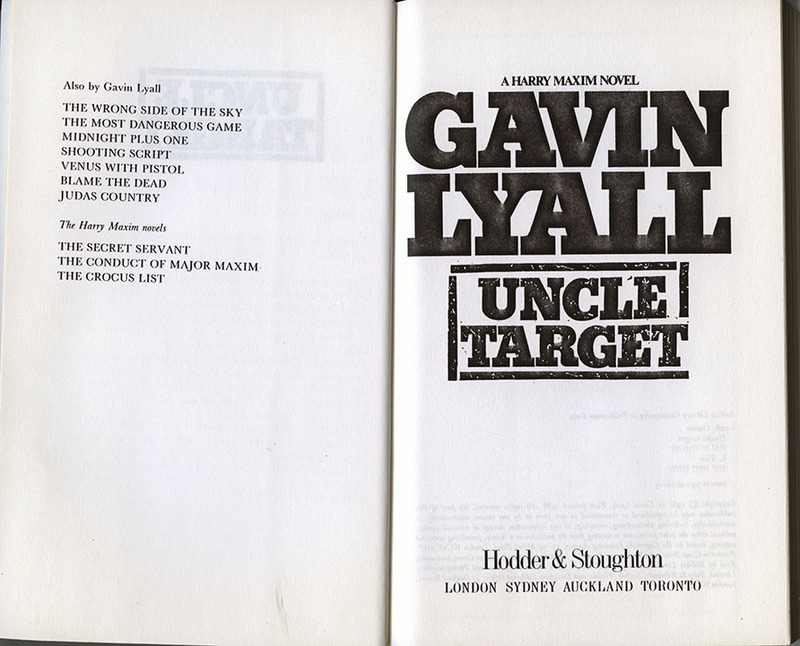 So it proved when the latter three of Gavin Lyall's four Harry Maxim spy novels popped up on eBay a few months back – The Conduct of Major Maxim, The Crocus List and Uncle Target. 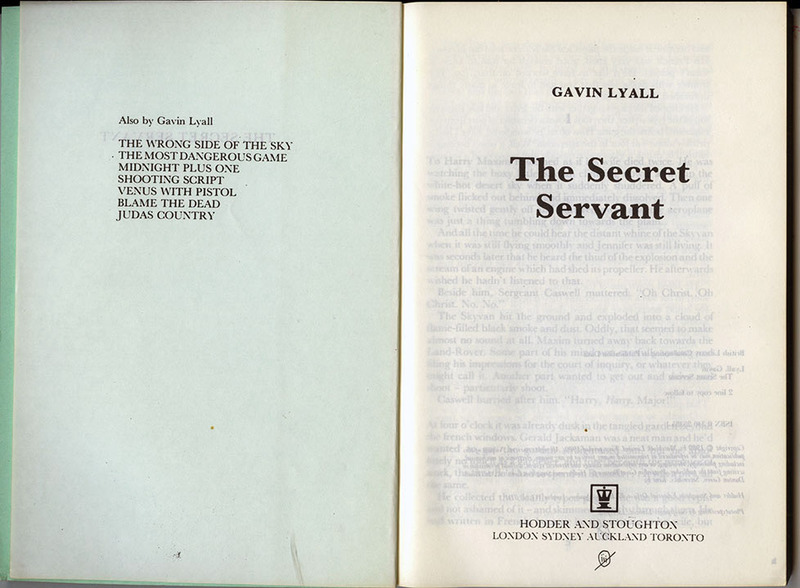 Despite owning entirely serviceable first editions of all three, I was sorely tempted even so; and when I then noticed an inexpensive uncorrected proof of the first Harry Maxim novel, The Secret Servant (which I also own in first), elsewhere online, the notion of nabbing the whole series in uncorrected proof proved irresistible. 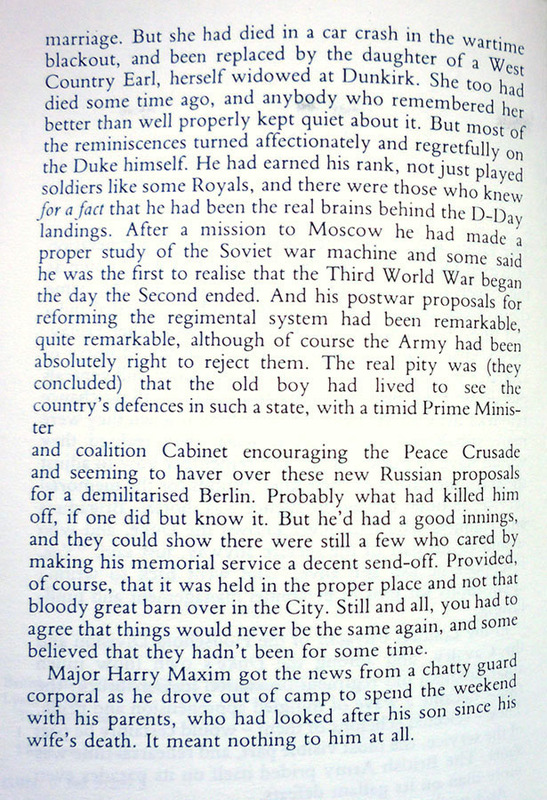 Individually they're quite uncommon things – at present I can see online one other uncorrected proof of The Secret Servant, one of The Crocus List, two of Uncle Target, and none of The Conduct of Major Maxim – but taken together they are, I'd venture, quite a unique and potentially intriguing collection. Well, I reckon so anyway; whether anyone else will think so too is debatable, but here they are anyway. 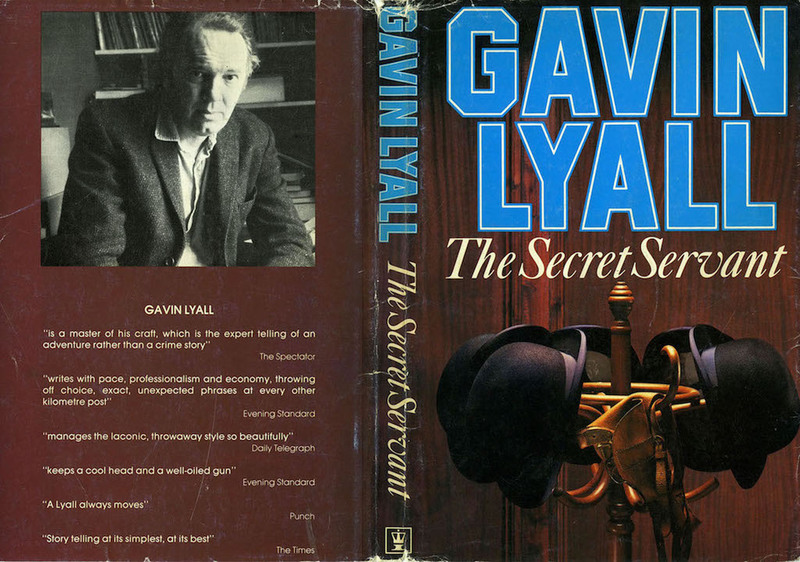 The first Harry Maxim novel – which I reviewed here – this proof of The Secret Servant comes with a dust jacket (designed by none other than Raymond Hawkey, utilising a photograph by Peter Williams), something which in my experience is atypical for an uncorrected proof, although not unheard of. 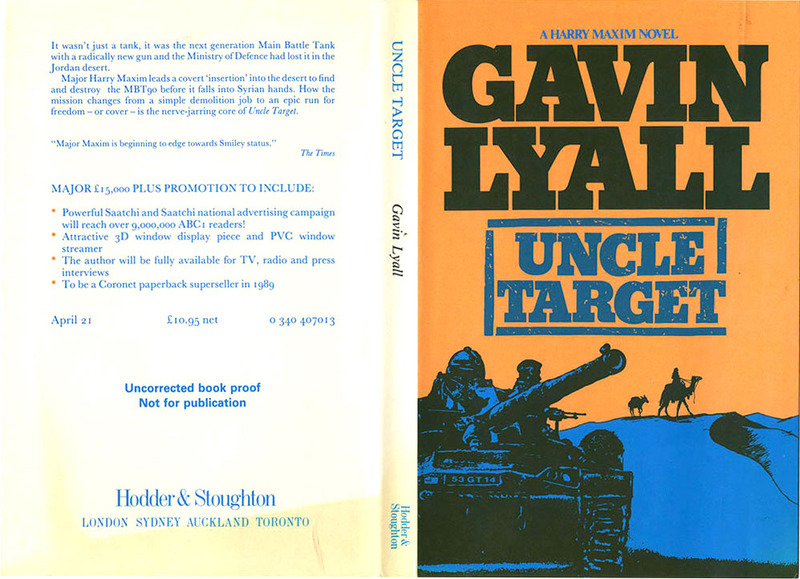 (At least in the 1980s and earlier; nowadays uncorrected proofs frequently have full colour covers.) 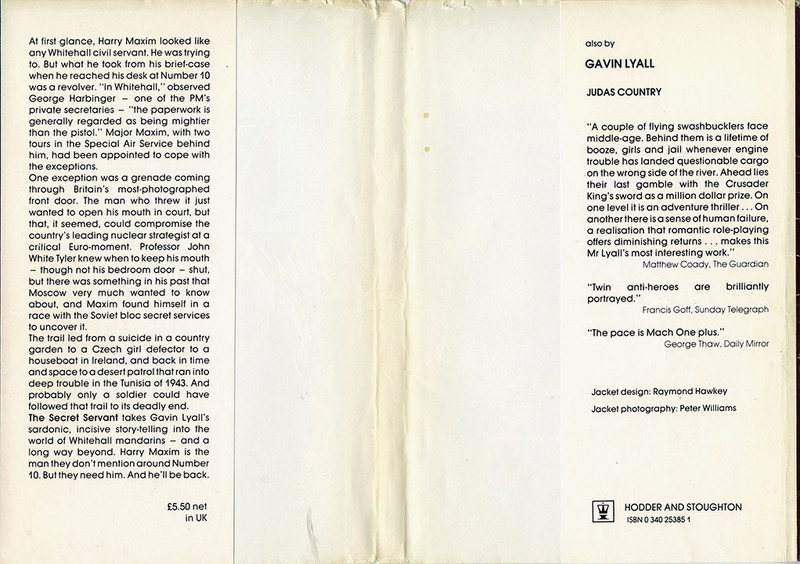 The inner card cover, meanwhile – which the jacket has been trimmed to fit – bears no text at all – again, atypical for a proof, but not unheard of. 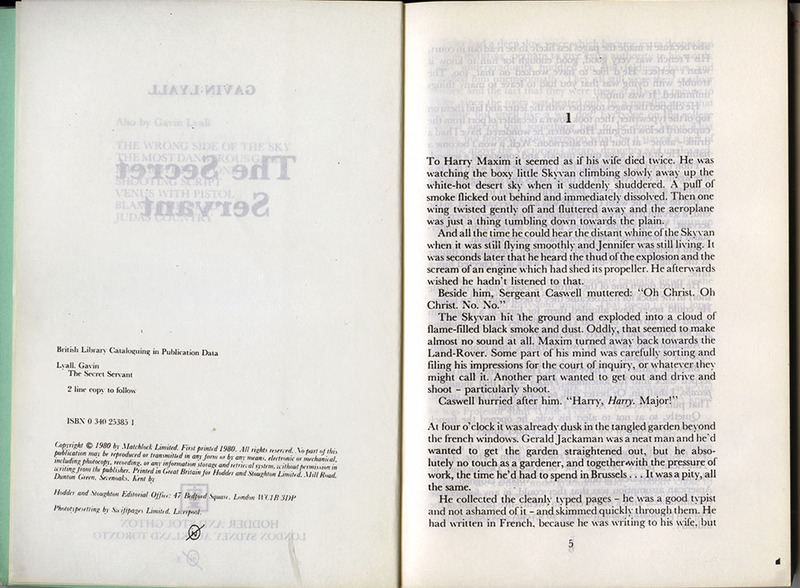 What is really unusual is the width of the thing: the pages are a lot wider than those of the finished book, and on some of the later pages in the proof– which looks to me to have been photocopied rather than printed – the edges of the original pages can be seen. 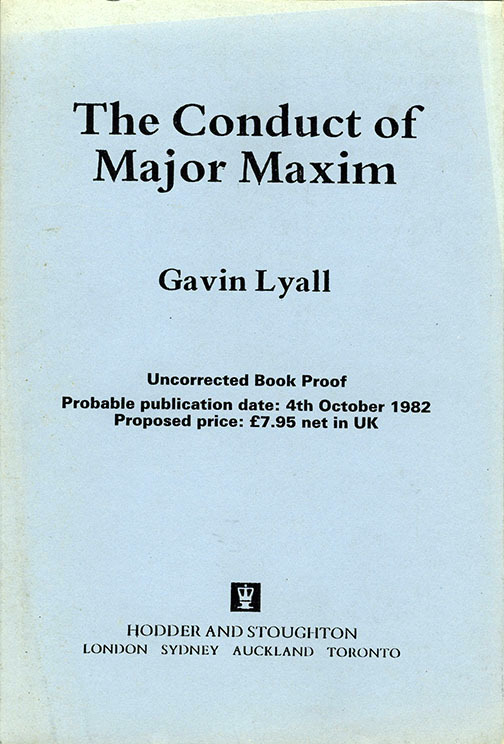 Evidently The Conduct of Major Maxim was titled A Slightly Private War until shortly before publication. I can confirm that that was caught and fixed for the finished book. Very informative post, I love it. It's good to see you comparing the editions and uncorrected proofs. Nowadays proofs do have color covers, they just don't have dust jackets. And they are almost never hardcovers. 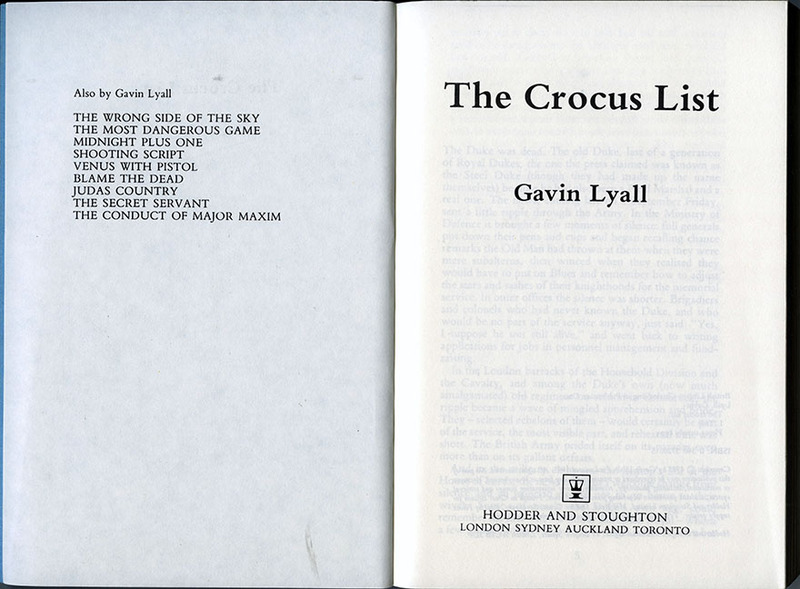 The appeal of ARCs is that they are usually not available to general public. They were sent to a dozen people, and that was that. They were scarce. 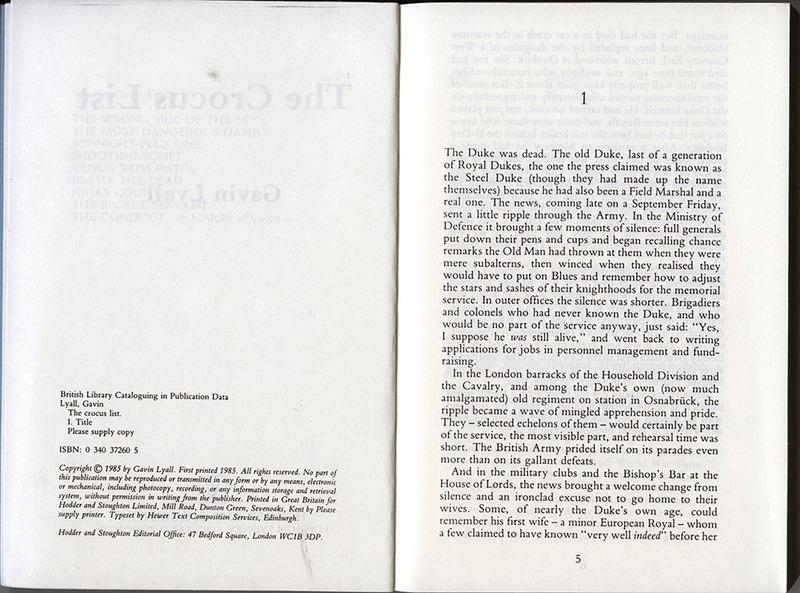 Now when NYC publishers make up to 200 000 proofs sometimes, these galleys are dime a dozen, and they lack any value. Cheers for the comments, both. 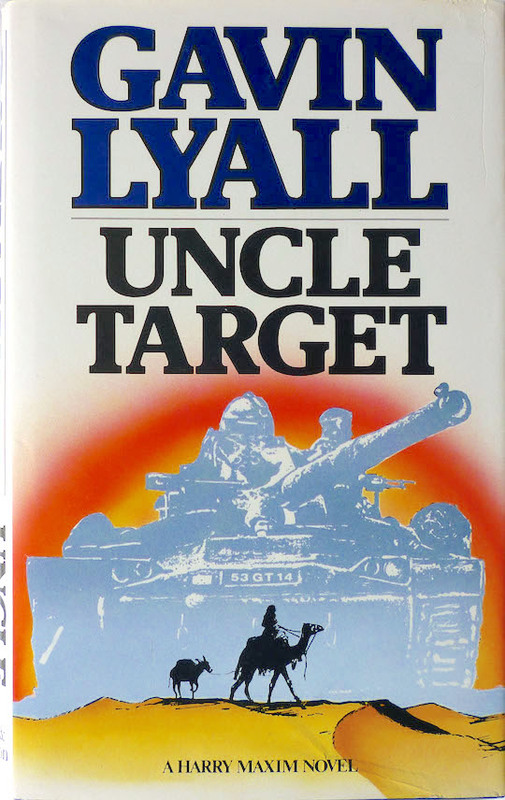 And I guess the other thing to add to your comment, Ray, is that these days uncorrected proofs and galleys are also offered to all and sundry as e-versions (I know, cos I get offered them all the time), so they're more widespread than ever before. That is so, Nick, especially if you live overseas. It's a large expense to ship hard copies. I'd sure wish to have more old galleys, pre-1960 if possible. 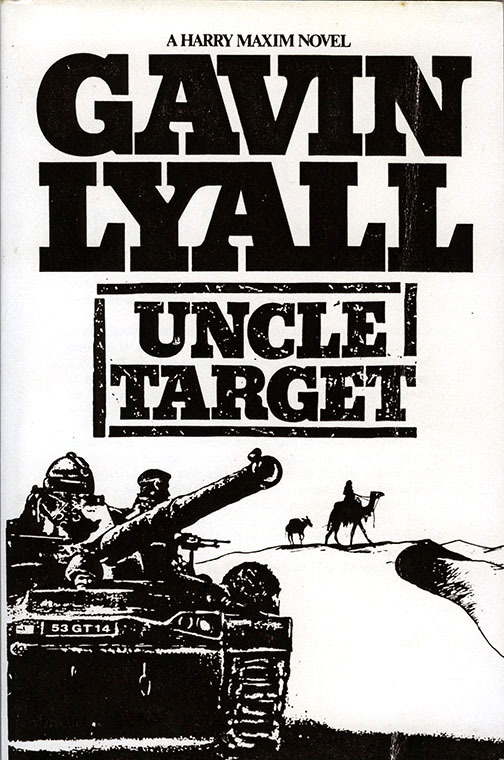 Great to see Gavin Lyall recalled. A fine writer. Thanks Martin. 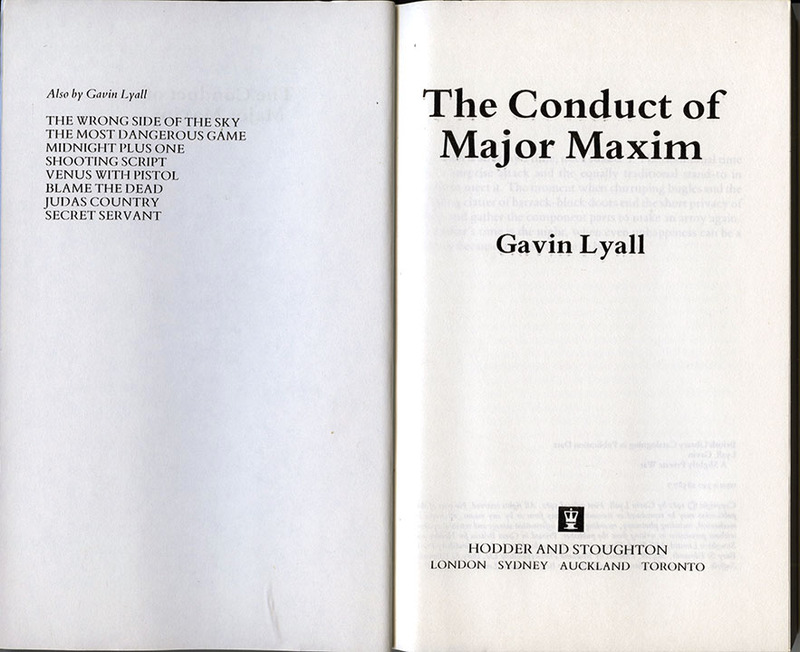 Just posted another Lyall missive, on The Conduct of Major Maxim.